TrustHacker is a weekly podcast that explores the tricks and traps used by the country’s best elder and special needs law attorneys when tackling complex trust and tax issues. TrustHacker is a show for you, the elder law and special needs law attorney, whether you are trying to master the intricacies of this trying topic or keeping current on your advanced skills. “Trust Hacking” is the term used by creator Bob Mason (a noted expert in the public benefits, trusts, and tax arena) to describe any shortcut, skill, or insight that will help any attorney (whether master or novice) crush it in her practice. In other words, a Trust Hack is anything that solves a trust or tax problem in an inspirational or ingenious way. 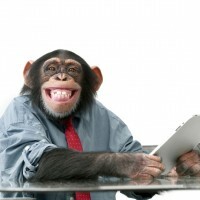 TrustHacker follows the unique teaching style created by Bob Mason, which he debuted in his TrustChimp seminars. Bob’s style is both informative and entertaining – and especially designed to de-mystify the trust and tax topic. With TrustHacker, Bob has now taken his signature approach and applied it to regular podcasts that “hack” selected trust, tax, and other legal topics with the help of well-known guest experts. If you are looking for an informative and entertaining way to ‘hack your way out of the trust jungle’ while driving to work or walking the dog, this is it! 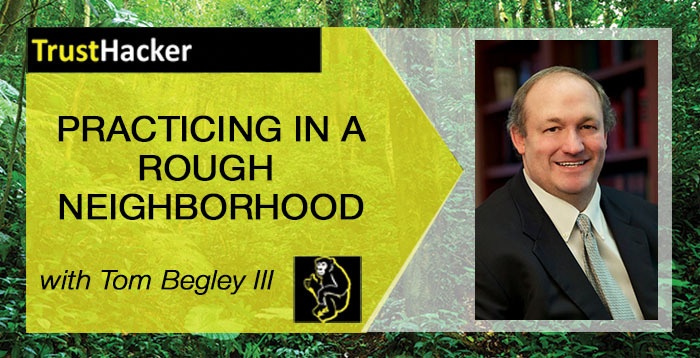 Tom Begley, III chats with Bob about beginning to practice elder law years ago with his father, the challenges of practicing in an aggressive (regulatory and administrative) jurisdiction, selecting fiduciaries, and educating fiduciaries. 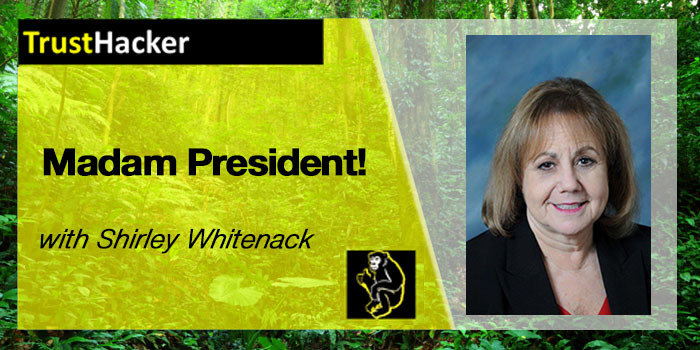 TH012: SHIRLEY WHITENACK – MADAM PRESIDENT! As she begins her last month as President of the National Academy of Elder Law Attorneys, Shirley Whitenack talks to Bob her unlikely road to law school, how she became an elder law attorney and what lead to her involvement in NAELA. Shirley and Bob also discuss the challenges of practicing in a state (New Jersey) that aggressively construes Medicaid qualification rules, as well as what NAELA can do to help attorneys facing important challenges from state authorities. Parts of this are hilarious. Others, very informative. Bobbi and Bob! 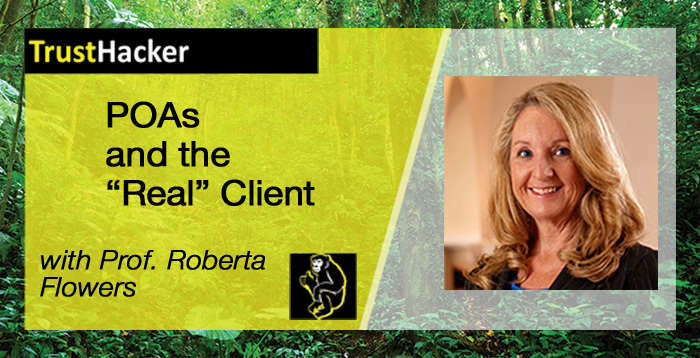 Stetson Law Professor Roberta (“Bobbi”) Flowers and Bob discuss one of the thorniest ethical problems for the elder and special needs law attorney – namely, how to handle an attorney in fact representing a principal with diminished capacity. There is no clear answer . . . but some GREAT advice from the professor. Bob and Bobbi also have a wide-ranging discussion about Stetson’s teaching philosophy, traditional versus nontraditional law students, elder-friendly courtrooms, and NAELA’s upcoming revised aspirational standards. 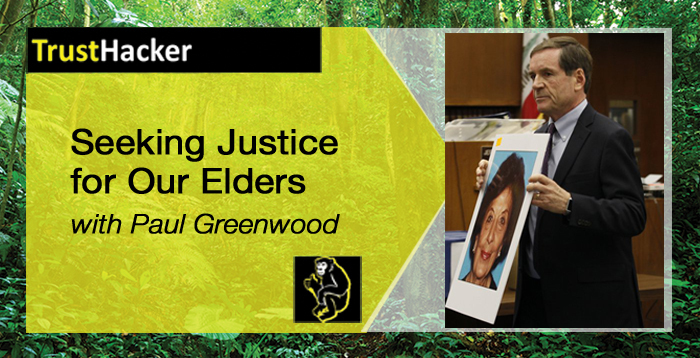 The Celebrated Deputy District Attorney of San Diego County, California, Paul Greenwood and Bob discuss financial exploitation and other crimes (including murder) against elders. In his 23 years of prosecuting crimes against seniors Paul has built up an impressive record of securing justice and sending criminals to prison. His passion for his vocation is evident; he has become a sought after speaker nationally and become a leading spokesman for new efforts in the criminal justice system to bring justice to often overlooked victims. Paul is a delightful and animated Englishman, and you’ll enjoy this discussion between Paul and Bob. 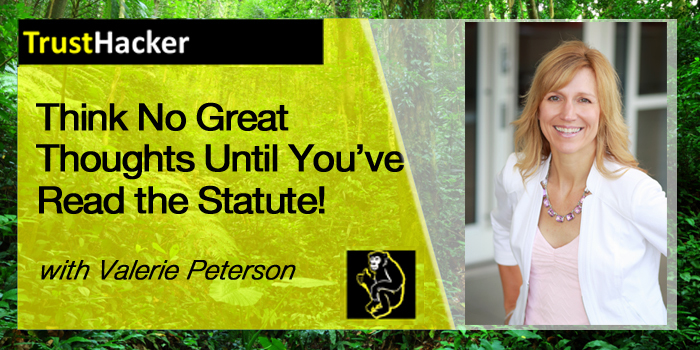 TH009: Valerie Peterson: Read the Statute! ElderCounsel CEO Valerie Peterson discusses her early career, how she met the challenge of teaching herself trusts and trust taxation, the importance of initiative in learning, and the necessity of taking care of yourself. As a leading expert on VA benefits issues, Valerie and Bob have an interesting discussion involving the future of VA benefits and trusts. Finally, Valerie gives her thoughts on a couple of troubling Massachusetts cases.